....to be jolly and to update and complete your on-line profile. The Christmas holiday period is a great time to create, update and publish your BeFound profile. Dedicating a little time during the holiday season may well land you a new job for 2011. Companies are now planning their staffing needs for 2011 and it’s an ideal time for you to be noticed. The great thing about BeFound is that employers can search for profiles at their leisure - they can do so any time any place. Having some down time over the coming weeks, means that hiring managers can actually devote some time to recruitment without interruption. Make sure your profile title will attract employers and that is does not contain your name. Make sure your status is up to date. You can change your status to show employers whether or not you are currently looking for work. Keep your profile up to date. If your job, role or responsibilities change make sure you update your profile to reflect this. The more up to date your profile the better your chances of being found. To create, update and publish your profile visit BeFound.com.au today. Sports clothing sales support - you will BeFound! We currently have a Brisbane-based client desperately looking to fill a Sales Support Role. They have requested loads of profile, but keep missing out as other employers have snapped up almost everyone they are interested in. They are looking for someone who is willing to ‘go above and beyond’ and have a flexible attitude towards workload and tasks where no task is too large or too small. Some extra hours may be required where they do merchandising at events for their major customers. Experience in a design background and familiarity with the Microsoft and Adobe (Illustrator) suites of products highly regarded. Previous experience in sports clothing design and/or sales would be a huge advantage. Know anyone that fits the bill? If you do, please tell them to register on BeFound.com.au immediately and they could well BeFound! BeFound has been nominated in "Best Newcomer" category in the 2010 Job Board Awards. 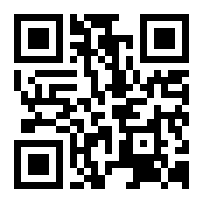 QR Code - what does it give us? Right now we are getting more profile requests for Accountants than any other roles. We have a number of employers actively and continually looking for Accountants, CPA & CA in Central Brisbane, Brisbane North, Brisbane South and Gold Coast. Accountants looking for a new opportunity - now's the time to register on BeFound! There is now a BeFound iPhone App available. The App allows you to login, check your details and e-mail your BeFound Resume in PDF format to anyone, any time, any place! There is a lot of talk currently about Head Hunting, Social Recruiting, LinkedIn recruitment. So what does that mean to you, the job seeker? Obviously, it means is that there are now a lot of different ways that you can BeFound by potential employers and recruiters. Sounds great doesn’t it? But you need to be able to make the technology and tools work for you. There are a number of website out there that allow you to create or upload a professional profile to assist in promoting yourself to potential employers. Make sure that you understand how your information is going to be used, displayed, on-sold. Try to maintain as much control over your information as you can. Throwing yourself out there indiscriminately is not necessarily a good idea. Do I want my information and contact details presented to any employer or recruiter that requests/pays for it? Do I want cold calls from random recruitment agencies? I have actually heard of several instances where a recruiter has found a LinkedIn profile that ‘sort of’ matched some requirements they had. They did not have the contact info for the individual concerned, so they called the company they were working for. Nice move! The recruiter called the head office, found their way to the switch board and eventually was put through to the LinkedIn member in question. Innovative or Invasive? You decide! Make sure you optimize your profiles. If you create an on-line profile for the purposes of being Head Hunted, make sure that the profile works for you and that it will actually help you to BeFound. The rules today are the same as they have always been. Recruiters have always used keywords to identify appropriate resumes held on their internal databases. I have always advised job seekers to make their Resume idiot proof and keyword rich – the same applies to on-line profiles. Find out which fields are searchable and use these to your advantage. If you are looking for a specific role make sure you mention it where you can (sensibly!). This includes twitter pages, Facebook, MySpace, blogs etc. I don’t care what anyone says, but most potential employers and recruiters will Google candidates. If they find a Facebook profile photo of you that they deem inappropriate or find a blog that you author which does not match their views/values that may be the end of the road for you. I’m not suggesting that you sterilize all of your on-line activities, but make sure that you have adequate security settings (especially on Facebook) to stop people seeing things that you do not want them to see. At the end of the day if you want to BeFound you need to put yourself out there. Where you do so and how you do it is up to you, but make sure that whatever you do on-line helps you to BeFound and stay found! Do you know how much is costs you to recruit a new member of staff? $200? $300? Sure that may be the dollar outlay to run an advert of a month, but what about the hidden cost - your time? It’s not just about the cost of running an advert - that's the cheap part. Think about the time you spend on the other associated activities. Isn’t your time better spent on productive tasks that generate money for your company? BeFound allows you concentrate on the important things in your business by giving you back your time, removing the 3 most time consuming and time expensive steps from the recruitment process. With BeFound you bypass all the other steps and go staright to interview - how easy is that? Another 250+ active job seekers have registered on BeFound over night. There are now over 11,300 live profile on BeFound across all industries. The advertising campaign is running hot. In the last 24 hour or we have had almost 350 new job seekers register and there are now over 11,000 live profiles on BeFound available for employers to review. The latest advertising campaign has started in Brisbane. In the last 24 hours 136 new job seekers have registered on BeFound and added 102 new profiles. Is one of these your next star employee waiting to BeFound? It's been a busy week or so and unfortunately we have let the blog slide a little. So what has been happening on BeFound.com.au over the last week? There are currently over 10,200 live profiles available for employers to search, shortlist and review on BeFound. We reached a significant milestone yesterday - 10,000 live candidate profiles. We've sealed a sponsorship deal with Damien Sharman for another 12 months. BeFound.com.au will continue to support Damien Sharman until he comes back to defend his Jump Title at Moomba 2011! Almost 8500 live candidate profile can now be viewed on BeFound.com.au.